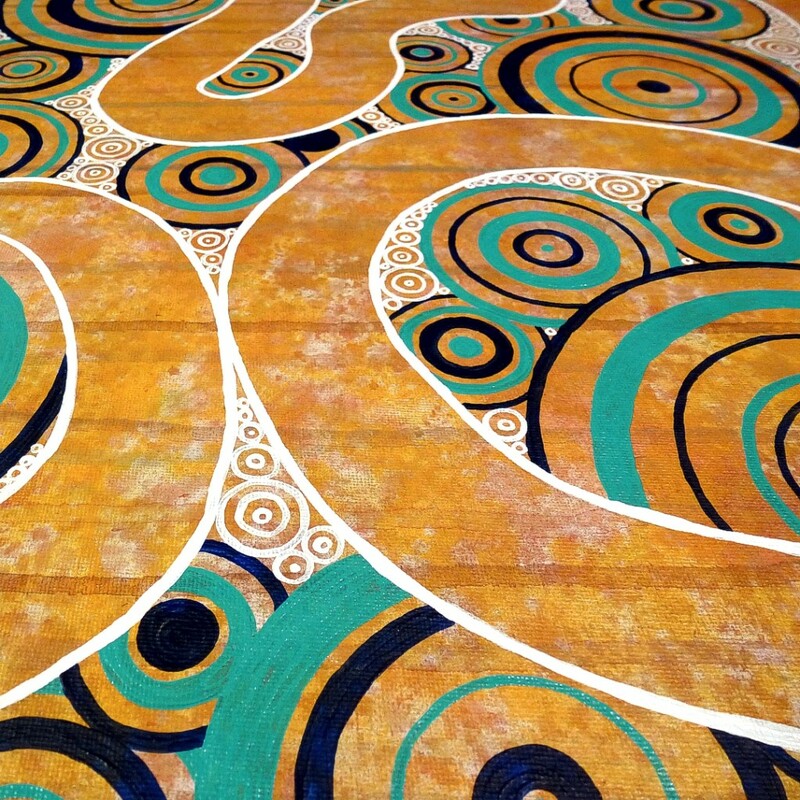 Here’s a little sneak peek of my newest abstract painting – Serpent. It’s still a work in progress and while I know the general direction I’m going with it I’m still waiting for a bit more inspiration. That usually happens when I’m sitting at my painting table and working. I find that I can’t wait for inspiration to strike, I just have to sit down and work at it. Abstract painting is different from realism in that way.